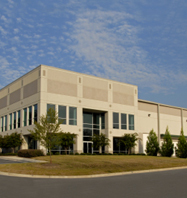 Contract warehousing is characterized by a useful term of more than 30 days. It has several benefits, including an advantageous partnership with the warehouse service, the free share of information, more available and reliable storage and more attractive rates. Affiliated Warehouse Companies helps you find the contract terms, area and environment that works best for your budget, schedule and inventory. We utilize prestigious providers of long-term warehousing solutions to ensure all products are safely kept and carefully maintained throughout their stay. Whether you are seeking a period of two months or two years or more, we’ll find an ideal location and terms in our extensive network of warehouse providers. You can be as hands-on or hands-off as you like; select a contract that includes space and operations, or you can provide the labor or control for the area, depending on what works best for your situation. To find out more about long term warehousing solutions, and to take advantage of a free rate quote, contact us today.